Handbook of Optical Design, Third Edition covers the fundamental principles of geometric optics and their application to lens design in one volume. It incorporates classic aspects of lens design along with important modern methods, tools, and instruments, including contemporary astronomical telescopes, Gaussian beams, and computer lens design. Written by respected researchers, the book has been extensively classroom-tested and developed in their lens design courses. 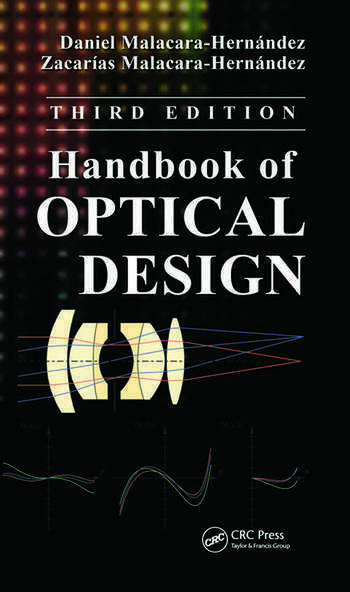 This well-illustrated handbook clearly and concisely explains the intricacies of optical system design and evaluation. 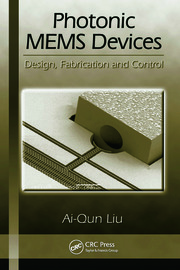 It also discusses component selection, optimization, and integration for the development of effective optical apparatus. The authors analyze the performance of a wide range of optical materials, components, and systems, from simple magnifiers to complex lenses used in photography, ophthalmology, telescopes, microscopes, and projection systems. Throughout, the book includes a wealth of design examples, illustrations, and equations, most of which are derived from basic principles. Appendices supply additional background information. This comprehensive book combines basic theory and practical details for the design of optical systems. It is an invaluable reference for optical students as well as scientists and engineers working with optical instrumentation. Daniel Malacara-Hernández is a professor and researcher at Centro de Investigaciones en Optica in Leon, Mexico. Zacarías Malacara-Hernández is a researcher at Centro de Investigaciones en Optica in Leon, Mexico. "An excellent update to an excellent book. A comprehensive handbook on optical design and geometrical optics that covers the basic theory as well as practical details." "Even with modern 'easy-to-use' lens design software and global optimization, the understanding of aberration theory is essential to finding high-performing cost-effective design solutions. This book not only teaches the students the basics of aberration theory but adds in the needed understanding of higher order aberrations for modern optical systems. The chapter on wavefront aberrations and Zernike polynomials has been greatly improved and follows a notation becoming a standard in the industry." "This is a new edition of a book that has been used in the course of lens design by the authors for many years. So it covers many aspects of optics taking in the progress in the individual field. Also the authors are trying to make the students of the course changing the order of materials as well as adding new ones." "Many helpful references are given at the end of each chapter and the appendices, and these have been expanded from the first edition. … Overall, the changes made in this edition have enhanced the book's value as an important reference for the optics community." "… the book makes liberal use of figures and diagrams, and covers both the basic principles of geometrical optics as well as their application to lens design. … this book is recommended for academic libraries with active programs in optical engineering, and certainly for libraries owning well-used copies of the first edition." "I found the book to be well presented and easy to read. 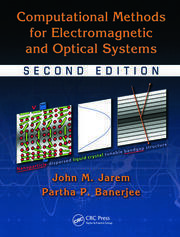 … For those interested in optical systems, this is a useful book to have on hand." "Not only the basic theory is treated in this book, but many practical details for the design of important optical systems are given. … [A] book which is important and helpful and should not be missed in any optical laboratory."